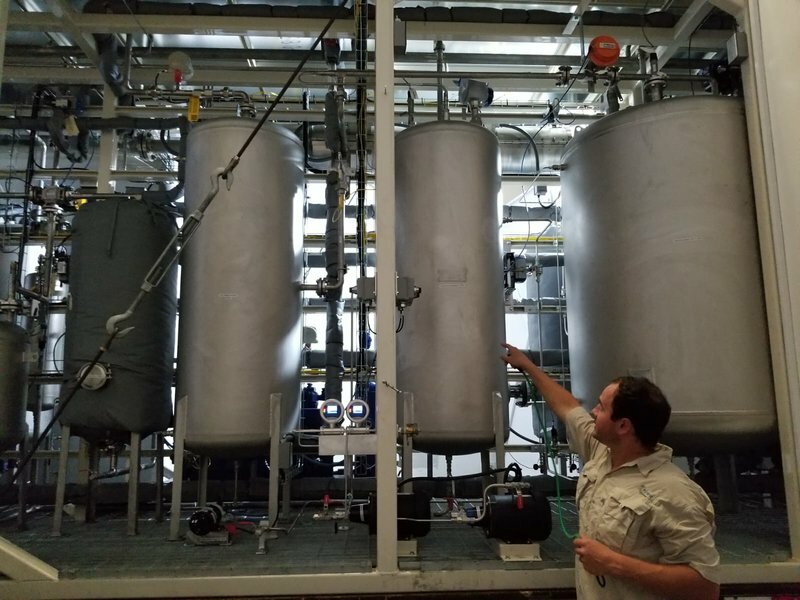 A new technology that converts biogas into a high-grade liquid fuel that can be used as a direct replacement for fossil fuels is being showcased for the first time at Alliance Dairies in Florida on February 18, 2019. The process developed by UK-based technology company Renovare Fuels, allows biogas from waste material to be used as a direct replacement for traditional fossil fuels, with the potential to displace billions of litres of fossil fuel each year. During this period, Renovare Fuels will demonstrate its self-sustaining, carbon neutral process of fuel production and explain how its technology could provide a practical solution to the growing problem of greenhouse gases. The production process is carbon neutral and the entire logistics supply chain may create a fraction of the greenhouse gas emissions of fossil fuels. “There has been a significant push to recycle plastic and paper products over the past two decades, but we aren’t seeing the same push to reuse biodegradable waste like food-waste and agricultural materials,” explained Devin Walker, CTO at Renovare Fuels. “That leaves a lot of potential fuel sources lying in landfills. Processes like anaerobic digestion (AD) can be used to produce fuels, but the overall process hasn’t previously been particularly efficient. “By using a specially developed Fischer-Tropsch synthesis catalyst and advanced process engineering techniques, Renovare Fuels’ technology can efficiently turn biogas into middle distillate fuel. The feedstock is sourced locally to the site and classified as a waste product, so the production cycle is objectively carbon neutral. The abundance of waste products means that the production of the biodiesel promises a low-cost sustainable alternative to fossil fuels. Renovare Fuels believes that the fuel could be priced at under 50 pence per litre in a quantity that could reshape the energy sector. The fuel produced using Renovare Fuels’ technology is distinct from typical biodiesel products in that it is physically and chemically similar to conventional fossil fuels. This allows it to be used in engines without requiring design modifications and also means it does not require blending with unsustainable fuels. Renovare Fuels’ technology was developed at the University of South Florida in conjunction with NASA and the US Department of Energy. The technology previously proved successful in converting biogas into usable diesel during a trial at a US landfill in 2017. In October 2018, Renovare Fuels was awarded Innovate UK support for aviation fuel testing through the Sustainable Aviation Fuel for Clean Growth programme in Sheffield. To witness Renovare Fuels’ breakthrough process in action, contact Renovare Fuels at info@renovare-fuels.co.uk for details of on-site demonstration invitations. For further information on the technology and the sustainable liquid fuel it produces, visit the Renovare Fuels website at www.renovare-fuels.co.uk.